Companies are cautious with their stride for long-term success. So when a high-skilled talent resigns, they try to fill the vacancy before it affects company performance. Companies look for replacements; but locating top C-level and hard-to-fill candidates in the competitive job market is a difficult task. To expedite the need for professional candidates, some companies hire recruitment firms to help locate candidates with skill sets that match their requirements. During the engagement, a recruitment consultant is expected to fully understand the client’s specifications before proceeding with the headhunting process. 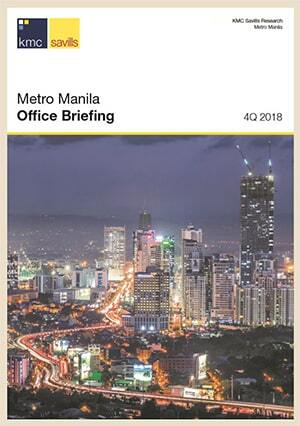 Recruitment and executive search firms in the Philippines like KC Global Talent Solutions, Q2 HR Solutions, Manila Recruitment, and KSearch Asia all offer the same services, but what should business owners consider before they choose which firm to engage with? There are three sectors in the Filipino labor force: Agricultural, Industry, and Services. For over 10 years, the Philippine Statistics Authority (PSA) continues to monitor the growth of both Industry and Services sectors, while the Agricultural sector continues to decline. As of September 2018, the current labor force size is at 45.5 million. Job opportunities in the Philippines are not scarce. Different positions range from rank-and-file, managerial, and C-level roles. Salary rates usually depend on industry standards and work experience. The range of employee benefits also depends on the discretion of the employer, except for benefits that are mandatory under local labor laws. Employment of foreign nationals is also open for local businesses seeking for specific skill-sets that can only be performed by foreign individuals. Preliminary results of PSA’s 2018 Annual Labor and Employment Status show promise of improvement in the local job market in the next few years. Employment rates were estimated at 94.7% compared to 2017’s 94.3%, while the unemployment rate had a slight decrease from 5.7% to 5.3% last 2018. How Do Consultants Reach Out? Since most recruitment firms in the Philippines utilize the same recruitment methods, they leverage on the efficiency of their internal processes to stay ahead of competitors. Many of them focus on developing the skills of their manpower resources to improve customer service, while others rely on digital technology to streamline their engagements with clients. Some consultants utilize their resourcefulness to identify and source the right candidates. Their access to a broad range of industry contacts act as a bridge towards their prospective talent. Consultants coordinate with candidates to discuss and present opportunities and give them a clearer understanding of the job title and description. On the other hand, others expedite the recruitment process through the use of job portals, talent databases, and social media platforms to reach out to a huge number of prospective clients and candidates. Customer service does not only revolve around the retail business. It is also widely practiced in other industries, including the recruitment industry. According to a blog entry by JOHNLEONARD Employment, customer service is a critical aspect of successful recruitment. A recruitment firm needs to promptly address the needs of their talent pool, monitor candidate employment progress, and respond to client feedback. The post-recruitment coordination process is an excellent example of customer service from recruitment firms. Recruiters discuss the performance of their candidate with the client to identify areas for improvement, such as but not limited to turnaround time and workload management. Recruitment firms in the Philippines utilize two different fee structures: retained and contingent. Many of these companies charge 25% of an employer’s annual gross salary for specialized roles in some industries. The Contingent Fee structure is a performance-based agreement. Recruiters can only receive payment from the client after they place a candidate. This structure is non-exclusive, allowing the client to work with other recruitment firms even with an ongoing engagement with another firm. KC Global Talent Solutions is an example of a contingent-based firm. The Retained Fee structure allows the client to pay in advance as a “guarantee fee.” Many retained recruiters bill their clients monthly, regardless if there has been a successful placement or not. The HR retainer program of Divergence HR uses a retained fee structure. How recruitment firms charge their clients depend on the type of structure they utilize, provided that it falls under industry standards and the Department of Labor and Employment’s (DOLE) rules and regulations for Private Recruitment and Placement Agencies (PRPA). Bad hires are common in many industries because of the following factors: skill and experience mismatch, company culture is not favorable to the employee, and other such reasons. However, some recruitment firms offer replacement guarantees for failed candidate placements. Free talent replacement is part of a guarantee period clause established by a recruitment firm for a set number of months. For example, a bad hire rendered a total of 6 months at a certain company but failed to accomplish their set deliverables or perform according to established metrics. The recruitment firm will then source for a new candidate for free as a replacement. Turnaround time (or “Time to Hire”) depend on the job position and the availability of talent in the labor market. Not all recruitment firms can fill open positions in two months. Some recruitment firms can source candidates for 3-5 business days through talent mapping and other sourcing methods. The recruitment process of successful recruitment firms in the Philippines usually run for a period of 25-40 business days, depending on client requirements, the role and its complexity, and availability of candidates in the talent pool. These firms make effective use of their industry contacts and the latest recruitment strategies to communicate better with active and passive candidates. Turnaround time can also affect candidate feedback. Recruitment firms must act fast to secure talent within the highly competitive labor market. Setbacks such as continuous delay and lack of communication can affect the recruitment process and generate poor candidate choice. What to Expect From the Recruitment Industry? 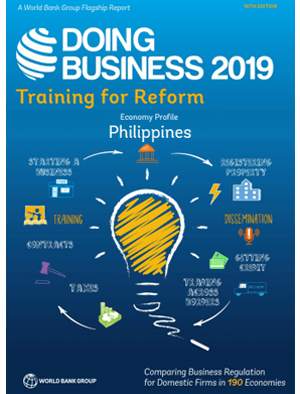 The Philippine business landscape evolves continuously with new trends and innovations in recruitment. Access to unusual methodologies such as but not limited to Cognitive Automation (CA) and Natural Language Processing (NLP) can help recruiters of today simplify their processes for a more efficient approach towards sourcing top talent. For years, the recruitment industry relied on interpersonal communication to properly understand the needs of their clients. However, the continued rise of technology has the potential to replace human interaction. One example is the hidden bias in automated hiring systems. This system might cost companies a good hire because a recruitment consultant will no longer deal with scanning through numerous resumes. While we consider these methods useful, it can affect the hiring process and interpersonal communication between recruiters and talent. Furthermore, direct communication is still indispensable. Both candidate and client usually seek direct correspondence with recruiters to expedite the hiring process. Forbes states that recruiters must “set clear communication expectations” with their candidates. While the future remains bright for technology to improve internal processes in the recruitment industry, a recruitment consultant must still apply “human touch” to their professional interactions with applicants and hiring companies. The latest technologies in recruitment cannot entirely replace human workers. Chatbots require precise programming to answer queries, so recruiters are still needed to work closely with clients and candidates to bring about direct communication that cannot be replicated by automation. Leandro Hulog is a Junior Content Writer for Kittelson & Carpo Consulting. He is currently exploring the wonders of Digital Marketing and expanding his skill-sets and experiences within the world of Consultancy Firms.